Mentioned on my last post, that I was really looking for a good make up remover a couple of months back. That’s because I find it hard to remove my waterproof mascara at the end of the day. And I wanna keep/preserve my beauty so I am all for that “do not sleep with make up on” thingy. So the first make up remover that I’ve tried is Maybelline’s Eye and Lip Make Up Remover. I am a Maybelline girl you see. The only pressed powder that doesn’t give me break outs is Maybelline’s Pressed Powder in Honey. And I love their mascara too. 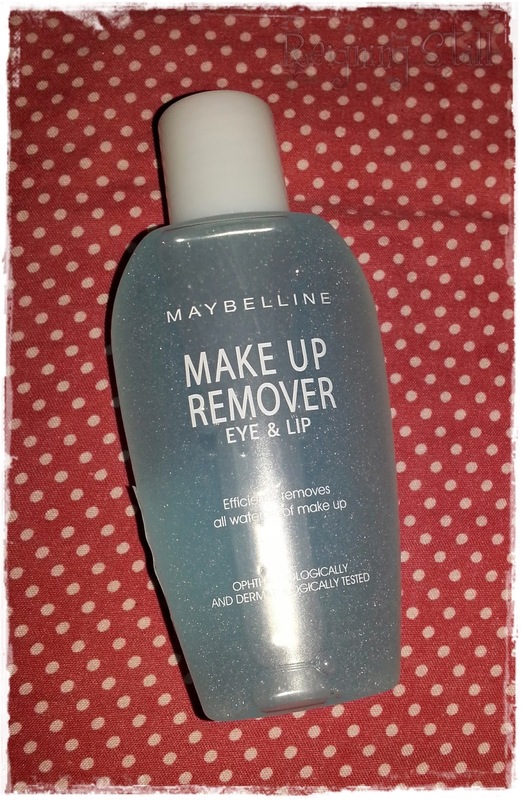 Plus some of the fashion blogger I follow mentioned Maybelline’s Make up Remover as part of their stash so I gave it a try. Honestly, I didn’t like it. I find it hard to use and doesn’t really remove my waterproof mascara. I need to put more pressure on my eye lids to remove the stubborn mascara off my lashes that would usually result to falling lashes. *sigh* Eh hindi pa naman ako gifted with long, thick lashes. I also find it too oily. Though its good for eye liners and eye shadows I guess but you really need to wash your face after with a facial wash or you’d have that icky feeling which I don’t experience in Happy Tea Time. Got my bottle 4 months ago and I barely used it. Sayang! Didn’t really like it kasi talaga. Good thing it’s cheap. A little more than a hundred bucks if I’m not mistaken. Ay! I used it pala to remove my lipsticks. Specially the lasting ones I got. Yung talagang naiiwan sa lips kahit mag toothbrush ka.